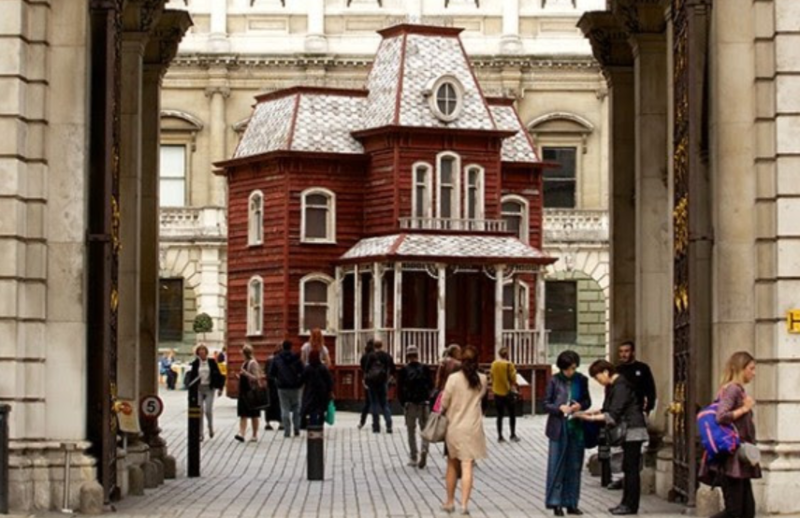 It may only be September but things have become decidedly spooky in the RA Courtyard, with the arrival of Cornelia Parker’s Transitional Object (PsychoBarn). Originally commissioned for the roof of the Metropolitan Museum of Art in New York in 2016, it takes elements of a classic American red barn to recreate the exterior of the Bates family motel – immortalised in Alfred Hitchcock’s 1960 film Psycho. To celebrate, The Royal Academy of Arts are showing a special screening of the film with a live Q&A on 23 November.